Observership for IMG is the position of observing patient care in a healthcare setting, without patient contact with a goal of gaining medical knowledge. It is a vital aspect of gaining exposure to the U.S. medical system and will increase the quality of one’s application for a residency program. 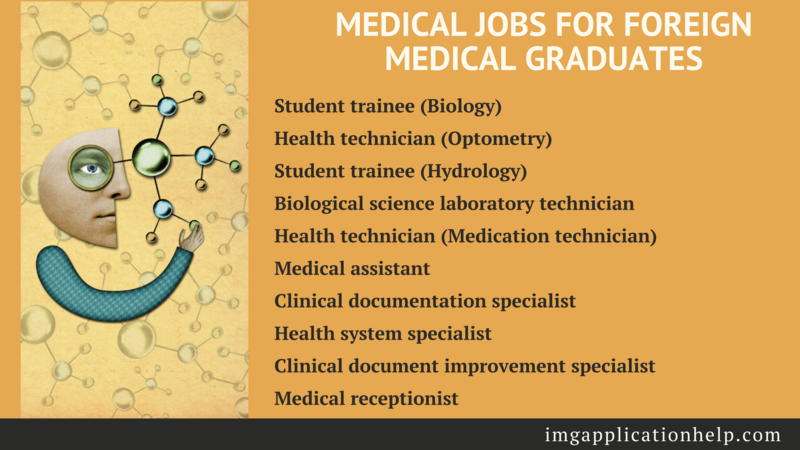 Observership IMG friendly hospitals are designed to help international medical graduates (IMGs) adapt to the practice of medicine in the United States. It may be established by a medical association or interested group of physicians to assist IMGs who wish to observe clinical practice in a U.S. setting. Observership IMG programs are not intended to be organized for the sake of profit. It is meant to be voluntary for interested IMGs and physicians in each specialty should volunteer time and efforts. Clinical clerkship for IMG programs should not be considered a mandatory step before starting a residency program. Programs typically last from 2-4 weeks per rotation or specialty. Observers can rotate among several specialties to create a longer experience. As an IMG, it may sometimes feel like you are between a rock and a hard place. You know you need USCE, but those positions can be hard to find or get into. But with persistence and ingenuity, there are several ways to find opportunities for a clinical clerkship like using trusted online resources to find clinical experience, going to the direct route with direct placement clinics and never leave a stone unturned. Observership for IMG in Pathology – IMG friendly residency programs is a 4-week curriculum which provides exposure to two weeks each of Anatomic and Clinical Pathology. On Anatomic Pathology Observership, individuals will participate in various types of sgn-out while on Clinical Pathology; individuals will spend one week on Transfusion Medicine and one week on Hematopathology sign-out. Observership for IMG In Surgery – The objective of this program is to permit IMGs to get FMG jobs in U.S. teaching hospital such as IMG observership UCLA, as well as further develop his/her knowledge of surgical diseases and enhances his/her ability to manage comprehensively the problems encountered in surgical patients. Physicians will spend a minimum of 160 contact hours participating in the Surgery Observership Program and will participate daily for the entire 8 week period. IMGs are required to send their CVs, transcripts, observership for IMG letter and personal statement (emphasizing your area of interest). The OIA will schedule and conduct an interview with you. If qualifications are met, you will be notified and your application will be passed on to the appropriate specialty program directors. If, after your application and credentials have been reviewed, a hospital program director and/or physician wish to accept you for a clinical clerkship for IMG, he or she will issue a letter of sponsorship which will be forwarded to the OIA, and to the hospital’s Human Resource and Health Department for its approval. The OIA then will notify you and initiate the visa process, providing you with the information needed to obtain your visa at the U.S. embassy in your home country. Hurley Medical Center (USMLE steps 1 and 2 must be > 220). Mount Sinai Medical Center Miami Beach Florida International Post Graduate Observership Course, 4 weeks in Cardiology, Infectious Disease or Internal Medicine. (USMLE steps 1 and 2 must be > 235). The world-renown Cleveland Clinic has a Global Clinical Observer Program for IMGs. They only accept 12 IMGs each year. You must already be ECFMG certified to apply. It is a 4-week shadowing experience. Participants will spend one week with specialists in each of the clinical cardiology, gastroenterology, infectious diseases and pulmonary medicine. Drexel University College of Medicine has an IMG observership program in internal medicine, pediatrics, Ob-GYN, surgery, and anesthesia. The rotations are in 6-week blocks. Unlike the Cleveland Clinic experience, you will get a LoR at the end of this observership. They will gather feedback from various faculty members who you worked with and put together a letter with their opinions and be stating your accomplishments. They state that previous participants have often used these LoRs and several past participants successfully matched. You can go through contacts you already have in the U.S.
You can directly contact a hospital and hope for the best. There are dozens of medical associations such as the American Association of Physicians from India (AAPI) and the Russian American Medical Association (RAMA) that offer a network of physicians as a resource as well as some associations that explicitly offer observerships. So get in touch with us for the best observership for IMG assistance around!